Wayne Rooney has helped trigger a DC United revival and they are now eyeing a place in the end-of-season playoffs. 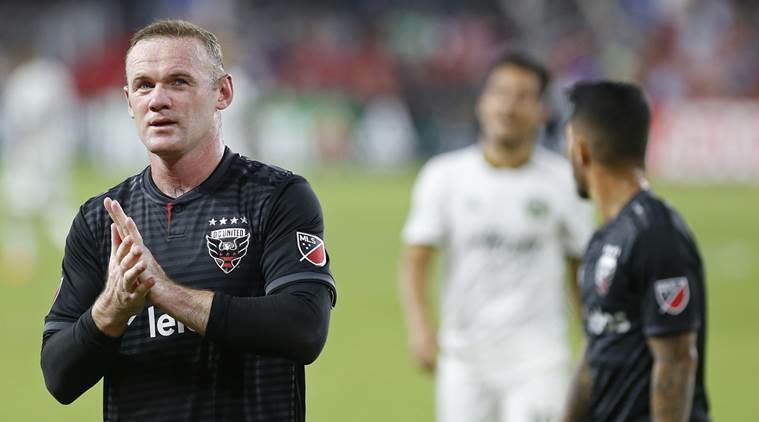 When former England captain Wayne Rooney was unveiled as DC United’s marquee signing in June they were bottom of the MLS Eastern Conference with two wins in 14 matches and had been eliminated from the U.S. Open Cup. The arrival of the ex-Manchester United and Everton striker on a 3-1/2-year deal reportedly worth $13 million, making him the highest paid player in the club’s history, was greeted with great fervour in Washington. Most pundits thought Rooney, as with many players who head across the Atlantic to finish their careers in Major league Soccer, was a long way past his peak. The 32-year-old is certainly not the same man who broke the all-time scoring record for club and country, picking up Premier League titles and a Champions League crown along the way. But he has helped trigger a DC United revival and they are now eyeing a place in the end-of-season playoffs. The 2-0 victory against New England Revolution on Sunday was their third successive victory in a remarkable eight-day period – one that featured a play of the season contender from Rooney. Their 3-2 win over Orlando City a week earlier resulted from Rooney’s last-ditch sliding tackle on an opponent bearing down on DC’s open goal near the halfway line before he delivered a perfect crossfield ball for Luciano Acosta to head in. DC are now unbeaten in their last five matches, with Rooney scoring three times and getting two assists – all of them with the former Everton man as captain. Their three successive wins in August equals the number they managed in the first 15 games of the season. DC United were seen as one of the league’s underachievers – they last won the MLS Cup in 2004 – but there is now a sense that Rooney is turning them into contenders. “I think what you’re seeing now is teams respecting us a bit more,” he said after the win over New England and before DC face the New York Red Bulls on Sunday. “I think in previous games New England have pressed a lot… I think today you could see their hesitancy in doing that and leaving the space for us to get on the ball. United’s last clash with the Red Bulls was a 1-0 defeat in Rooney’s third game in DC. Now, with his side eighth in the Eastern Conference, six points off the top six and the playoff places with games in hand, the season looks more promising. DC fans saw Rooney’s commitment to the cause last month in his fourth game when he scored his first goal for the club before breaking his nose in a 2-1 win over Colorado Rapids. The supporters have seen his blood and sweat and now they are hoping for tears of joy from the Mersysider as the season heads towards the MLS Cup climax beginning in October. Dare to try the floss bikini?